In the upper echelons of society, high-end cuisine continued on the exquisite multi-course path that emerged during in the Marunouchi Period. Ryotei, a type of luxurious restaurant, offered kaiseki-style (multi-course) dining served in private rooms, often accompanied by geisha entertainment, and upmarket kappo restaurants served elegant small dishes. But it was on the streets where the real changes were happening. When Tokugawa Ieyasu stepped in as the first shogun of a united Japan, he moved shop from the former political HQ of Kyoto to Edo, and in doing so ordered the regional daimyo and their vassals, merchants and artisans to relocate. Peddlers and vendors of all sorts descended on Edo, selling daily necessities from tofu to tobacco. The population boomed, and the former fishing village of Tokyo soon became the largest metropolis in the world. The male population was 1.5 times that of women, and because many of the men were either bachelors or had left behind wives and families in other areas, they were generally not being provided, or cooking, homemade meals. Enter yatai — street stalls providing quick and affordable meals on the go. 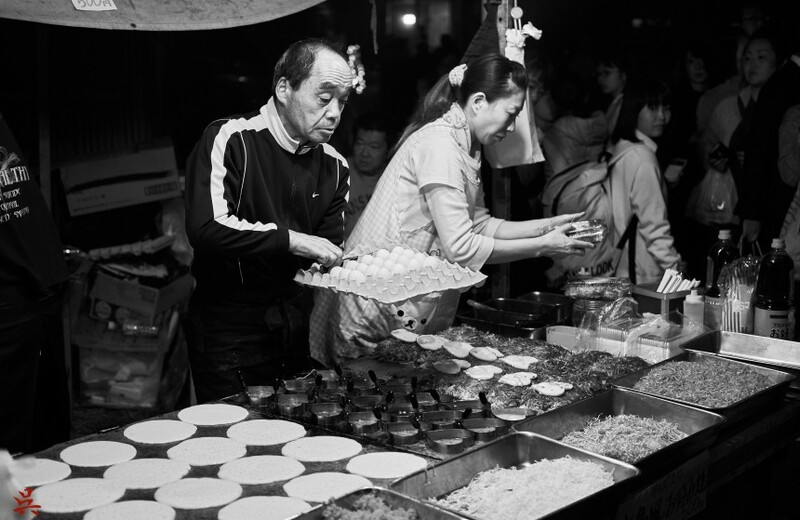 With the population growing, food stalls multiplied at an unprecedented scale. 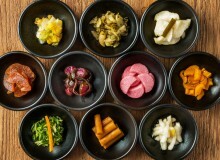 High competition meant an emphasis on quality ingredients and products, which, along with the culture of dining out, can be said of the modern Tokyo food scene. The yatai served all manner of ready meals — breakfast dishes like dried fish, boiled beans, rice and fried tofu, but most notably, the “4 kings” of Edo food: soba, eel, tempura and sushi. 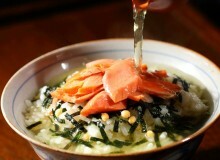 Soba, once the food of temples, became widespread. Popular types were kirisoba, where strands were cut shorter, making the noodles easier to eat in crowded establishments; sobagaki, soba-flour dumplings; and soba hanamaki, topped with torn nori sheets. Eel was generally served kabayaki-style, butterflied, grilled, steamed and grilled again basted with a tare (a sort of sweet, thickened soy sauce). The preparation of kabayaki differs in the east, with the eels slit down the back instead of the front, as slitting down the front too closely resembled seppuku (ritual suicide). Edo-style tempura also differs from that of western Japan — cooked in a mixture of vegetable and sesame oils, rather than the plain vegetable oil of Kyoto. This is because the heavier sesame flavor stands up to the richer, more pungent flavor of the seafood used, whereas Kyoto tempura was largely vegetables. And where Kyoto tempura was served with just salt, Tokyo tempura was often served with mentsuyu dipping sauce. 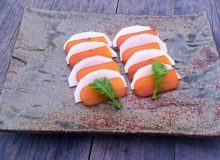 Edo was the birthplace of sushi as we know it today — hand-pressed balls of rice topped with the fruits of the neighboring sea, known as edomae sushi (literally, “in front of Edo” sushi), evolved to what we know today as simply “nigiri sushi.” Other popular dishes included dojo (loach) nabe, anago (conger eel), miso, oden, and later in the Meiji Period, when the ban on meat was lifted, sukiyaki, sakuranabe and other horse meat dishes. A linchpin shaping Edo ryori was its neighboring namesake body of water, the Edo Sea, which — at the time — was abundant with flounder, prawns, whitespotted conger, shad, halfbeak, mullet, rockfish, greenling, suzuki and many other kinds of seafood. 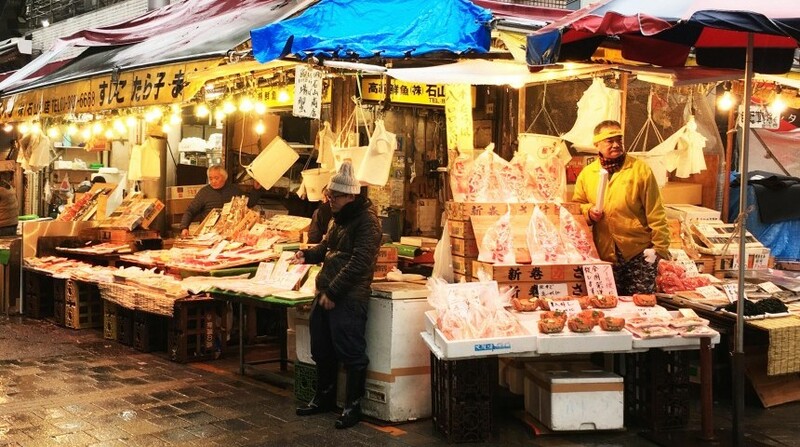 The Nihonbashi fish market, Tsukiji’s precursor, was opened in the early 17th century where the Mandarin Hotel, Mitsubishi Department Store and Bank of Japan now stand, and operated for more than 300 years before moving to its Tsukiji location in 1935. At this time, Nihonbashi was very close to the sea, as depicted in many ukiyo-e prints, with vestiges detectable these days in local shops selling katsuobushi (bonito flakes), nori, knives, and area names containing ocean-related kanji characters. Laver, a type of seaweed, was also harvested from the bay and sold in Asakusa, and “Asakusa laver,” was particularly revered. 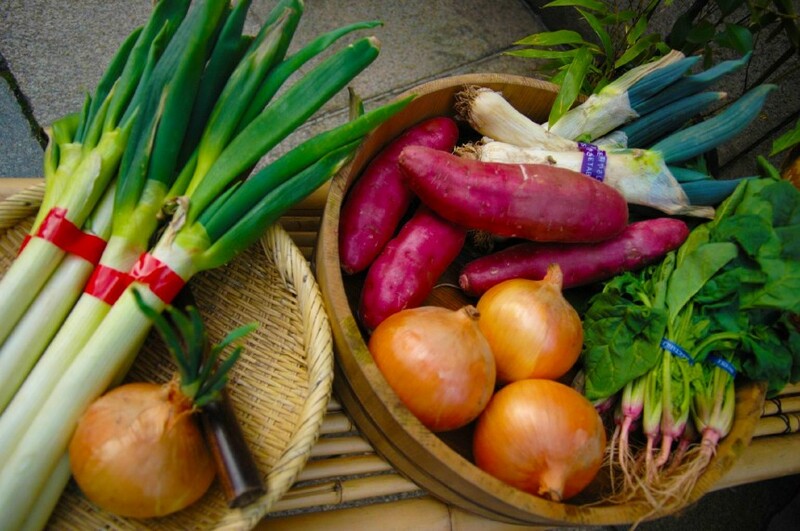 In addition to fecund sea waters, Tokyo was surrounded by productive agricultural lands and a range of native Edo-yasai (Edo vegetables) — komatsuna (Japanese mustard spinach), Meguro eggplant, Toshima cucumber, bamboo shoots, Nerima Daikon, Yanaka ginger, Yodobashi kabocha (pumpkin), amongst many others. For those interested in trying Edo ryori in modern Tokyo, there are countless edomae sushi and eel shops around town, plus restaurants specialising in Edo cuisine, such as Nishiazabu Hide, and Sakurada and Edo Shitamachi Cuisine Miyatogawa, both in Asakusa. Edo-yasai, which decreased in availability during the 20th century, have recently benefited from movements to revive heritage varieties and can be found most often at local farmers markets.